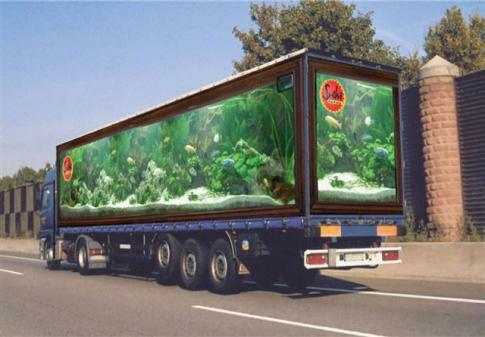 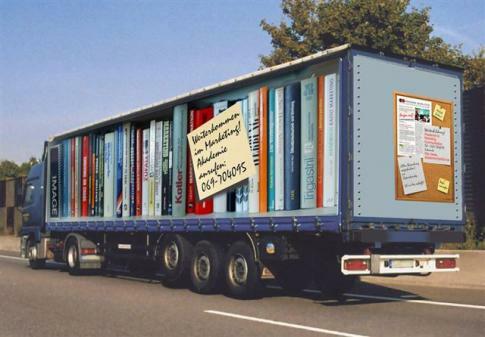 Pat McNulty produced this photographic manipulation of the same truck as his previous images, this time with the rear section replaced with a shelf full of giant books and a huge post-it-note slapped over the top. 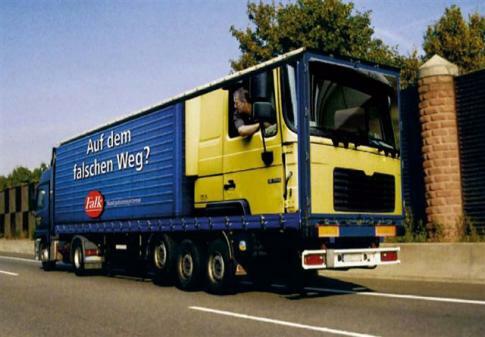 This image from Pat McNulty shows a truck in which the rear section has been replaced with the front section of another truck going in the opposite direction with the second truck's driver peering backwards through the driver's window. 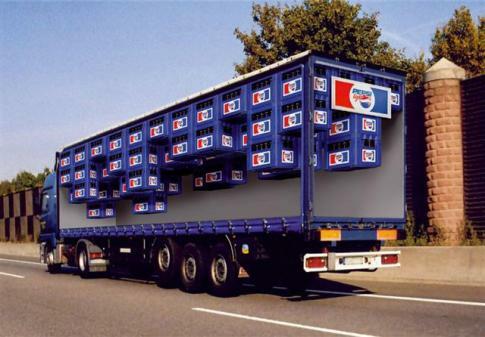 This photographic manipulation from Pat McNulty shows a truck with a transparent rear section filled with Pepsi cases that are stacked downwards from the ceiling as oppose to upwards from the floor. 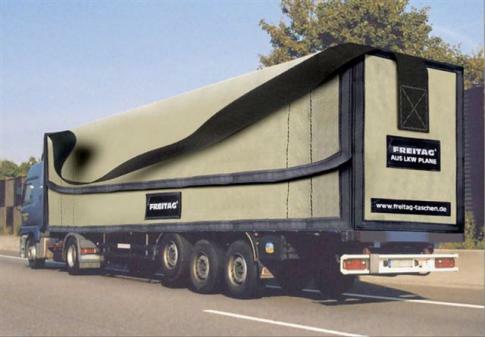 A second photographic manipulation from Pat McNulty, this one shows a truck that has been altered so that the rear end appears to be a giant canvas bag.